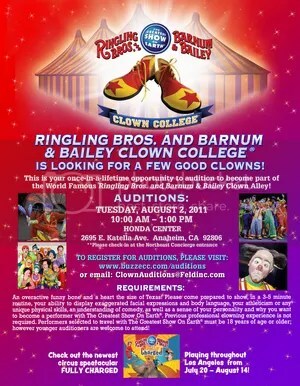 Ringling Bros. Clown Alley seeking Clown College candidates. 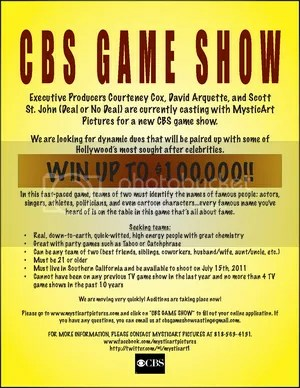 This is a once-in-a–lifetime opportunity to audition to become part of The World Famous Ringling Bros. Clown Alley. Do you have an overactive funny bone and a heart the size of Texas? 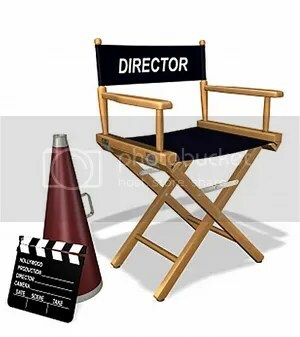 If so, casting directors for Ringling Bros. and Barnum & Bailey Clown College want to see your improvisational ability, sense of timing, and sincere desire to be a clown with The Greatest Show On Earth!